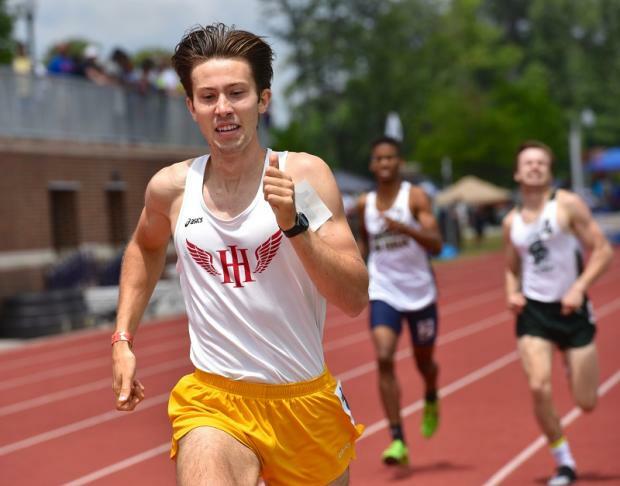 Eagles Landing Christian brought their best efforts to 'Valhalla' and sped to the Boys title knocking off defending champ Landmark Christian. 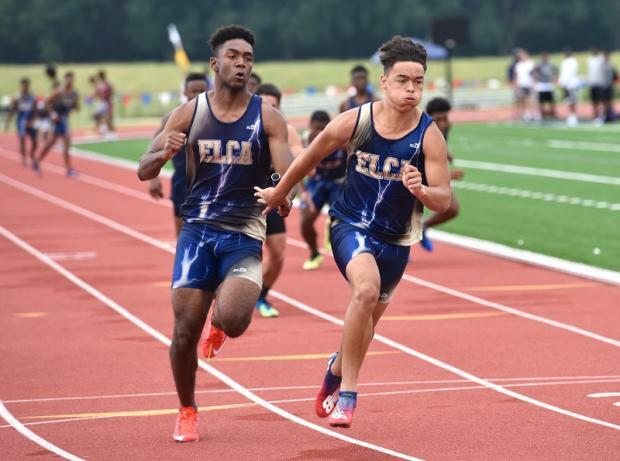 ELCA scored 29 points in the short sprints, as Jeffrey Uzzell went for double Gold and Eric Motes took 5th (100) and 4th (200). The Eagles blitzed the field for 4x100 Gold, and their 'B' squad picked up 5 crucial points in the 4x400 cliching the title. Sean Queen won the LJ competition, Silver (TJ) and took 7th (110h) Jordan Jakes hurdled to 4th (300h) and 4th (HJ). 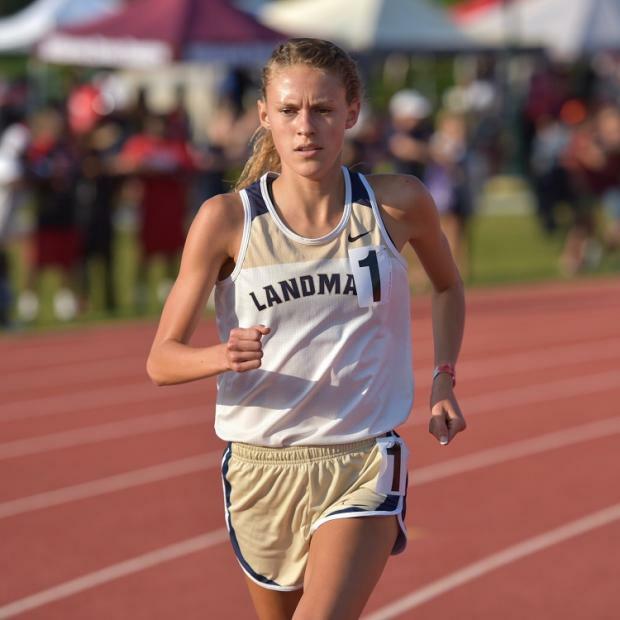 Landmark Christian fought until the very end, where they had to win the 4x400 relay, and hope ELCA did no better than place 6th.. 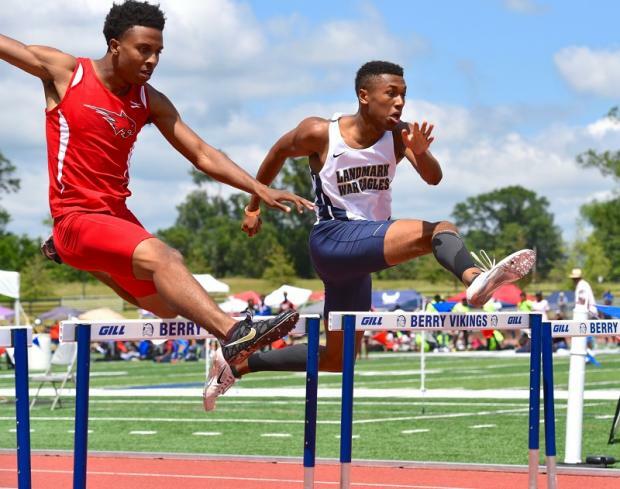 The Eagles picked up points in many places, Brandon Stone won 300h Gold and was 4th (110h), Nicolas Toomer won the TJ competition, while earning a Silver (400m) Kermit Jackson added a Bronze (800m) and 4th place (1600m) Seth Cruver carved out 3rd in the 3200, followed in 4th by Kameron Jackson. It was a total scrum for the final team Podium spot between Whitefield, Darlington, Riverside Military, Holy Innocents and Tallulah Falls. 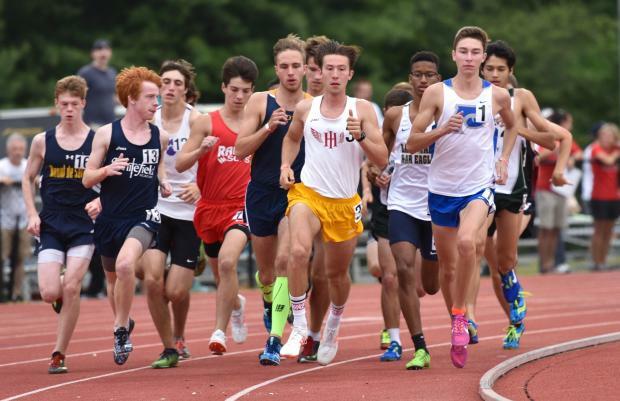 Whitefield had to sweat it out watching the 4x400, but came out unscathed as RMA took 2nd behind winner Landmark. Riverside did not help themselves when they False Started in the 4x100 relay earlier. Athens Academy made it 2 straight titles this past Saturday at Berry College behind the legs of Anna Marian Block, thrower Julia Harisay and a collective of athletes chipping in with points. 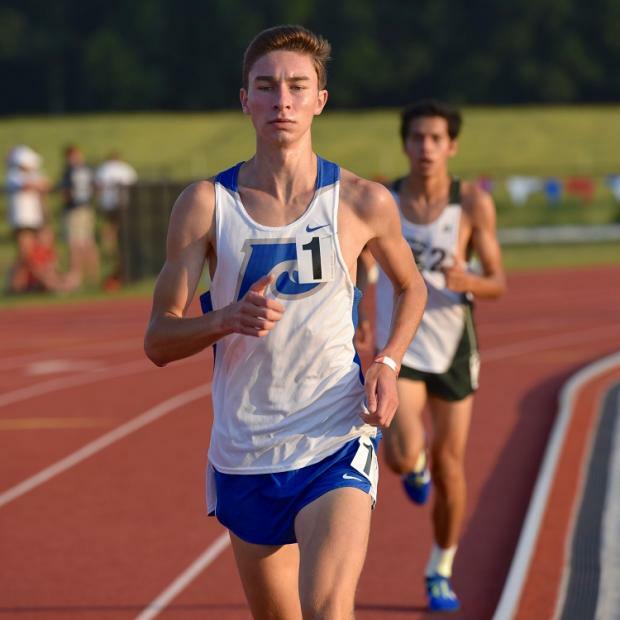 Block took the 800m as expected, but was 2nd in the 1600. 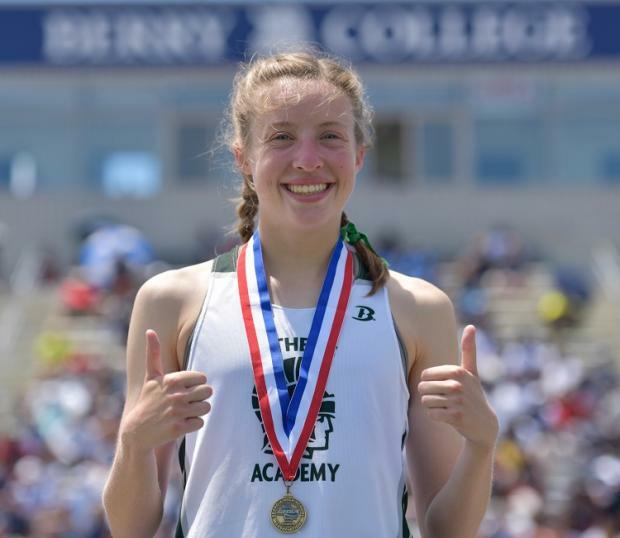 Harisay swept the Discus and Shot, Frances Herrin won Silver in the TJ and 6th in the LJ, Emily Elder added a 4th in the 3200 and 6th (1600m), Katie Phillips ran thru an injury to Bronze in the 300h and 5th (100h). Though, not known for their speed, the development of some paid off in a 4x400 Bronze and 6th place finish in the 4x100. Wesleyan's dropdown back into A paid off with a runnerup Podium finish. 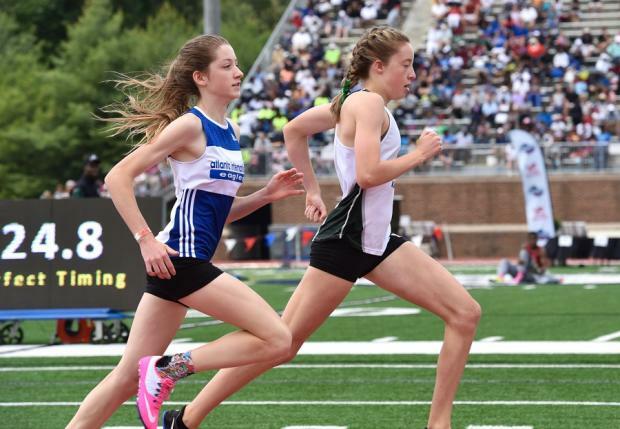 The Lady Wolves did it with speed, as they swept both Golds in the Relays (and their 'B' squad added 2 in the 4x400), picked up 14 points in the 4x400, thanks to Sutton West's Silver and Megan Lynch's Bronze medal efforts (who also won the LJ and placed 3rd in the 200m. ELCA fought their way to 3rd on the Podium scoring 61 points. 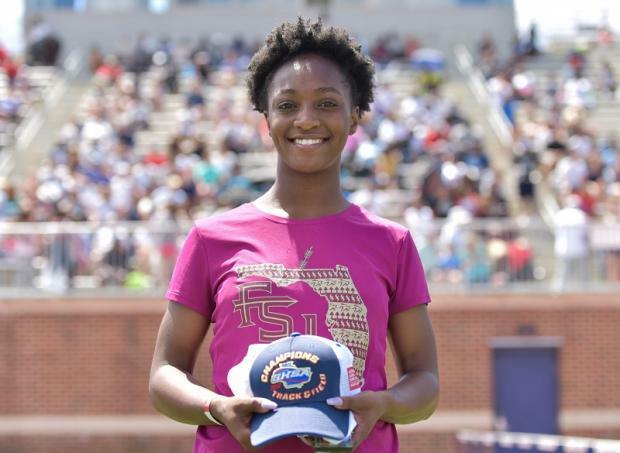 T'aja Cameron was their big weapon, as she doubled in the Short Sprints and bolstered the Eagle's relay squads to a pair of Silvers. Kayland Thomason raced to Gold in the 400, Jasmine Senter added 10 points with a Bronze in the 100 and 4th in the 200m. 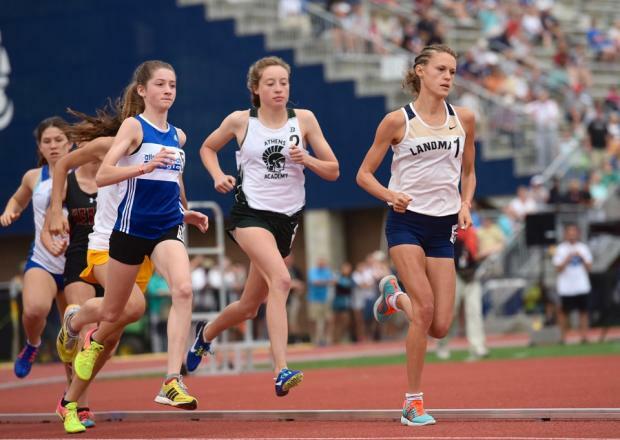 Landmark Christian claimed the final Podium spot led by Nicole Fegans' phenomenol wins in the 1600 and 3200m. 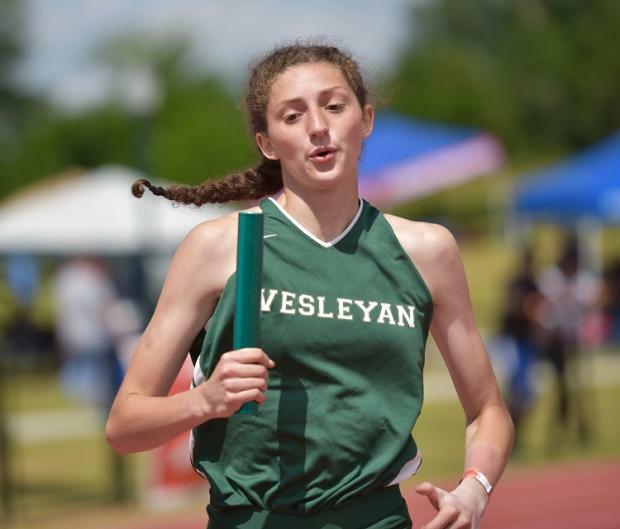 Erin Fegans brought home Bronze in the 3200, Lindsey Biggar and Sarah Foreman placed 4th/5th in the 800m, Elizabeth Gibbs scored 13 points winning Silver in the Discus and 4th in the Shot and Mary Kellison Thorne tied for 5th in the Vault.